We receive dozens of emails every week about retention, social promotion and high-stakes testing. Despite clear evidence that retention does not work - and that it damages children - many school districts continue to use this outmoded policy. Make copies of these documents for members of your child's team - they support the position that retention is not an appropriate intervention. "Waiting to Fail" Instead of Teaching a Child to Read. Despite clear evidence that retention does not work - and that it damages children - some school districts continue to use this outmoded policy of "waiting to fail". Pam Wright explains the real issue is teaching a child to read. Retention! Special Ed Teacher Needs Help, Ammunition - A special ed teacher disagrees with her mentor teacher about retention. She says, "research shows that retention is not successful, and inappropriate to recommend retention for students with IEPs." He says she is wrong. Sue Heath offers ammunition for teachers and parents who are dealing with retention. High Stakes! Can the School Use a Single Test to Retain My Child? - Research editor Sue Heath answers questions from parents about high-stakes testing and mandatory retention. Retention or Promotion? What's Best for My Child? For those who are dealing with retention, you must educate yourself before you can take a rational position and advocate for a child. Why Retain? It Didn't Work the First Time. What to do when the school wants to retain your child. If your child could have learned to read with the previous type and level of instruction he would have already learned to read. Sample Retention Letter. An excellent sample of a retention letter you can use to request the school not retain your child. This sample letter describes a parent's concerns about the child's lack of progress, their concerns about the school's proposal to retain her, and a proposal for a solution to the child's problems. Opportunity Deferred or Opportunity Taken? An Updated Look at Delaying Kindergarten Entry - Parents who concerned about their child's maturity and whether to enroll their child in kindergarten are often advised to give the child the "gift of time." Research does not support this practice. In a review of the latest research about the consequences of keeping children out of school an extra year shows that delaying kindergarten entry often has negative effects. Parents need to realize that by holding their child back, they may be depriving the child of important opportunities for learning — the "theft of opportunity. White Paper: Grade Retention and Social Promotion (National Association of School Psychologists). Grade Retention and Promotion: Information for Parents (National Association of School Psychologists). The Effects of Grade Retention on High School Outcomes: Evidence from New York City Schools (RAND 2018). Grade retention reduces high school credit accumulation and the likelihood of taking math and English Regents exams. For middle school students, we also find that retention increases dropout and reduces the likelihood of completing Regents exam graduation requirements. Holding middle-schoolers back causes dropout rates to spike, new research finds (Chalkbeat 2018). Retention is Not the Answer. (Wrightslaw) A North Carolina school psychologist writes about retention and social promotions, and his state's policy of retaining children while ignoring research that retention is not an appropriate intervention. Should I Allow the School Retain My Child? 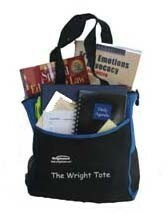 (Wrightslaw) Advice to a parent's frequently asked questions about retention - generally, it is not a good idea. Passing on Failure, Eliminating Social Promotion (American Federation of Teachers) "Grade-by-grade standards for students are essential. These standards support academic rigor and ensure fairness by defining the expectations for success for all students." If you want to help others learn about special education law and advocacy, please download, print and distribute Wrightslaw information flyers. Where can you distribute flyers? At school meetings, doctor's offices, hospitals, and day care centers!